Ask our Registered Dietitian your nutrition or food-related questions! If you're looking for a place to host an event, the Bone Student Center has a variety of options to fit your needs. 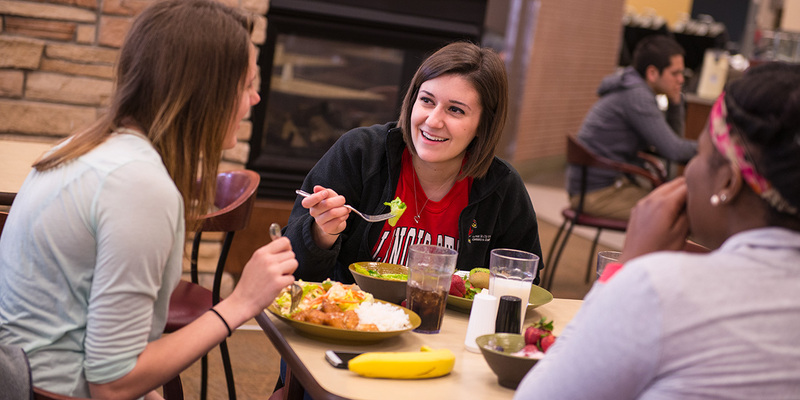 Parents of meal plan holders can dine for free (seriously) at either dining center when they visit campus. From a birthday message, wishing luck on an exam, or just because, let your loved one know you're thinking of them. If you're under the weather, Dining can help bring a meal to your room on campus. Please use the form below to request a meal during Passover. Meals must be requested 24 hours in advance. A limited number of meals are available on a first come, first served basis. A copy of this Letter of Certification from the Union of Orthodox Jewish Congregations of America certifying these meals as Kosher for Passover is available from Dining upon request. Download the official Illinois State University App for free from the App Store or Google Play Store for dining menus, nutrition information, and updates.